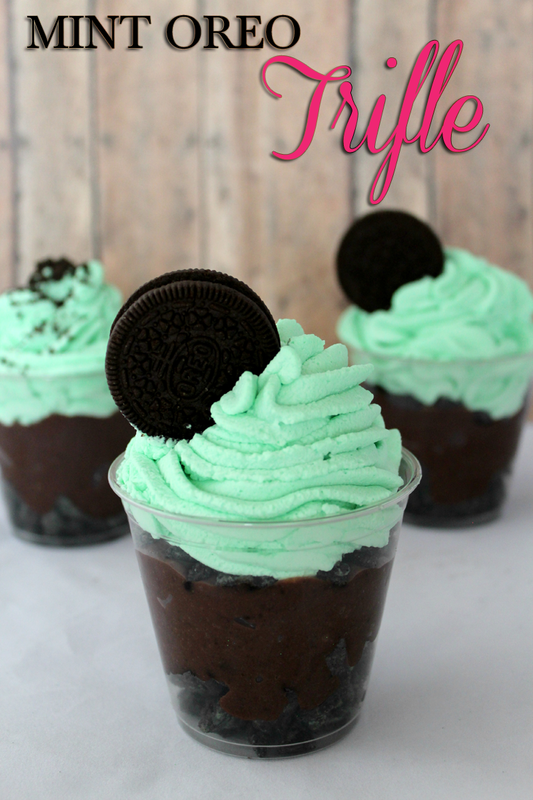 This mint oreo trifle recipe is perfect for your next St. Patrick’s Day celebration. Or, great for any birthday party! Try creating these with different flavors and colors to fit your celebration. Gorgeous pastels would be perfect for a Spring celebration or Easter! Make pudding according to package directions. Whip heavy cream until it begins to peak. Add powdered sugar and continue to whip. 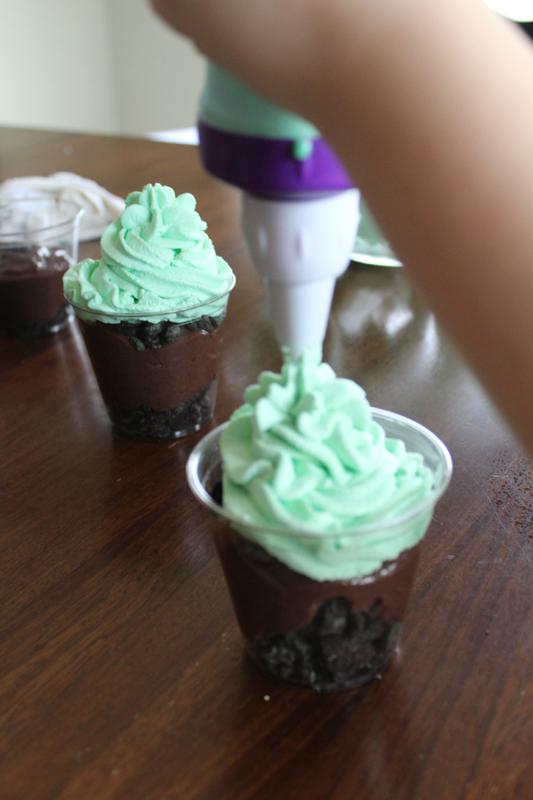 Add mint and 6-10 drops food coloring and continue to whip until peaks form. 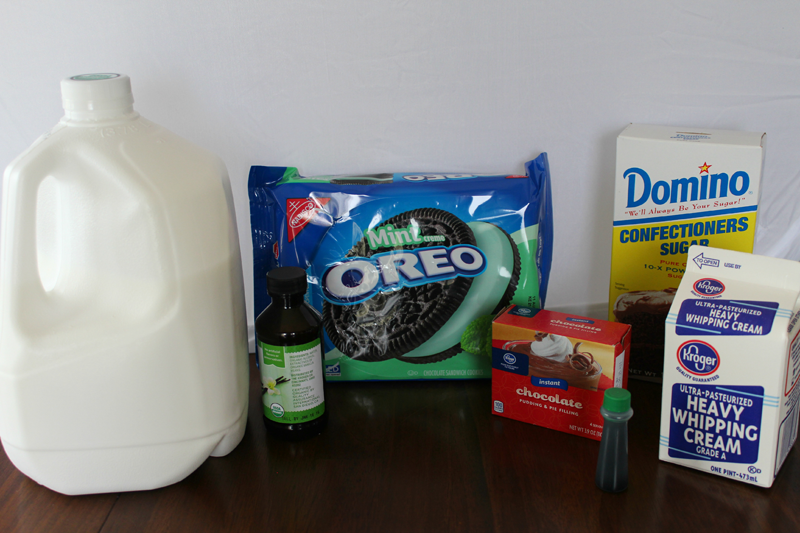 Chop approximately ¾ of the Oreos and scatter into bottom of container. 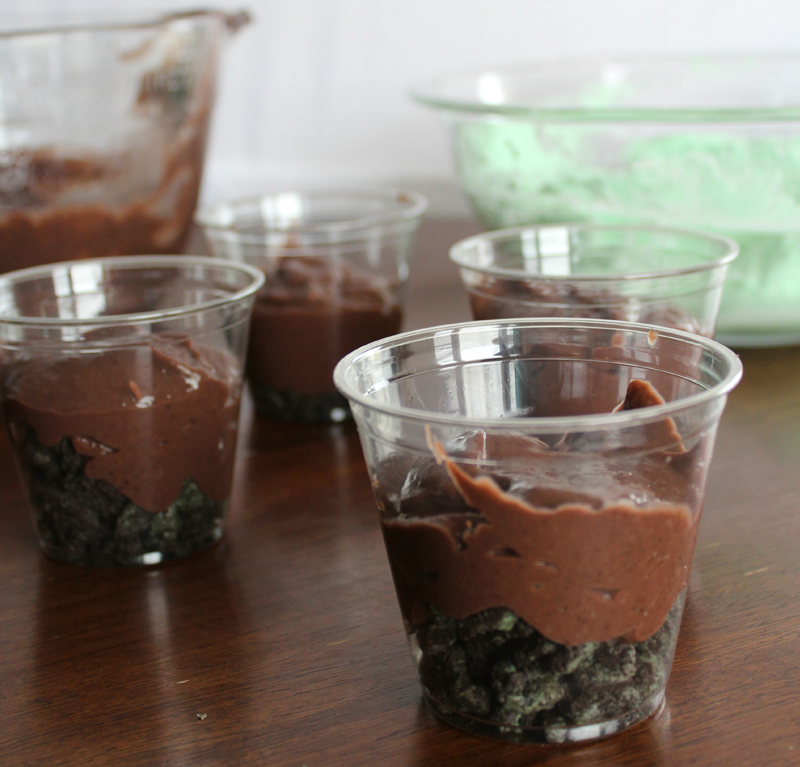 Top with about 1/4 cup chocolate pudding, then add another small amount of Oreo topping. 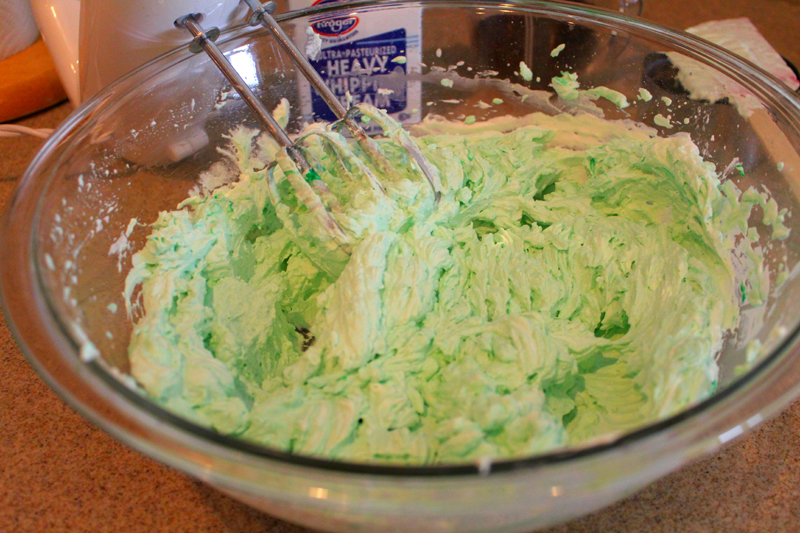 Top with whipped cream mixture. 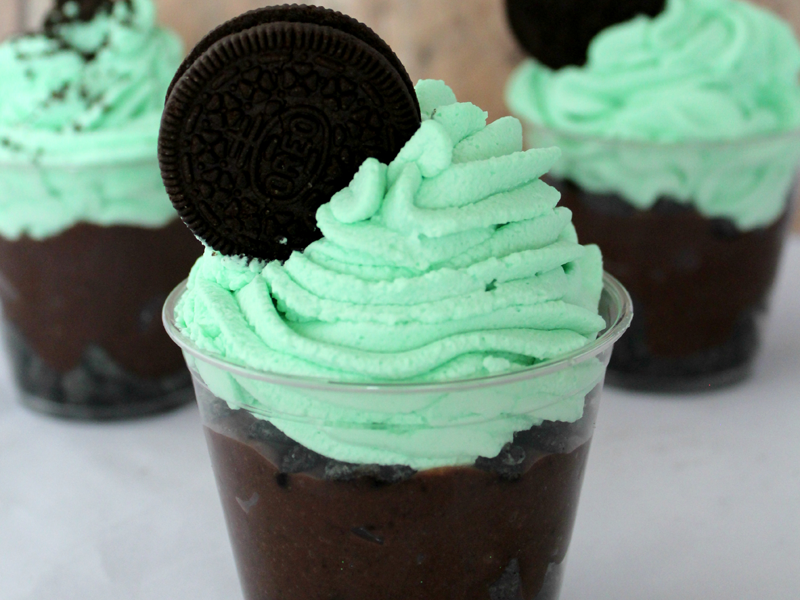 *If you happen to not like mint you can opt out of the mint ingredients and use vanilla instead. What’s your favorite Oreo flavor? Comment below and share with us!